Not too long ago clay pigeon shooting was an exclusive sport enjoyed by a privileged few. Thankfully things have changed and now just about anybody can have a go. The satisfaction of blasting clays to smithereens with a big shotgun combined with the noise, smell and kick have made this activity a firm favourite with hen parties. It might all sound a bit manly, but the feedback from our hen parties that have tried clay pigeon shooting is that they love it! One to one tuition will be given by a qualified instructor who will teach you the correct way to hold the gun and where to aim as the clays are flying through the air. 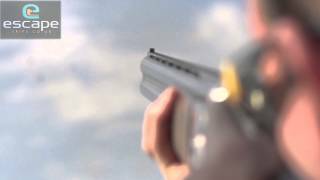 View our Clay Pigeon Shooting video and get an idea of what to expect on this activity.